Physically based rendering, using path-space formulation of global illumination, has become a standard technique for high-quality computer-generated imagery. Nonetheless, being able to control and edit the resulting picture so that it corresponds to the artist vision is still a tedious trial-and-error process. We show how the manipulation of light transport translates into the path-space integral formulation of the rendering equation. We introduce portals as a path-space manipulation tool to edit and control renderings and show how our editing tool unifies and extends previous work on lighting editing. Portals allow the artist to precisely control the final aspect of the image without modifying neither scene geometry nor lighting setup. According to the setup of two geometric handles and a simple path selection filter, portals capture specific lightpaths and teleport them through 3D space. 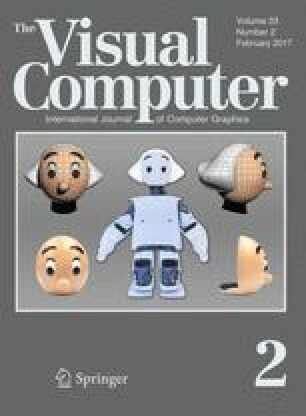 We implement portals in major path-based algorithms (Photon Mapping, Progressive Photon Mapping and Bi-directional Path Tracing) and demonstrate the wide range of control this technique allows on various lighting effects, from low-frequency color bleeding to high-frequency caustics as well as view-dependent reflections. We especially thank the Observatory of Systems Information Retrieval and Indexing of Multimedia contents (OSIRIM) platform of the Toulouse Institute of Computer Science Research (IRIT).